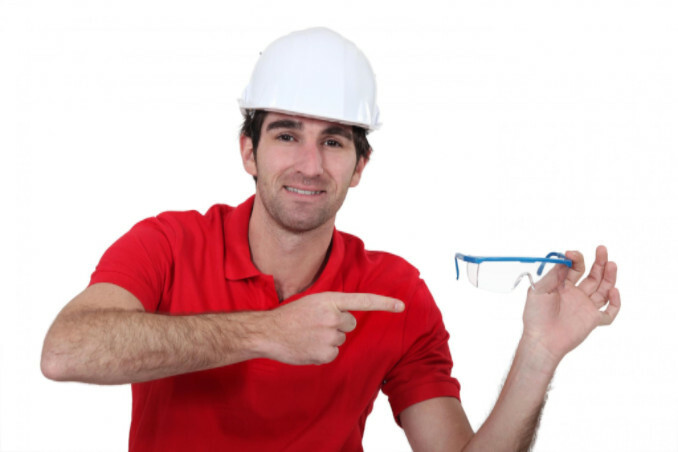 Approximately 2,000 eye injuries occur in the workplace everyday. Seventy percent of these injuries happen because of flying or falling objects. Unsurprisingly, most people who experience eye injuries aren’t wearing protective eyewear at the time of the incident. The Bureau of Labor Statistics states that $924 billion dollars are dispersed in workers’ compensation payouts each year due to eye injuries. Another $4 billion in wage and productivity is lost as a result. Make sure eye gear fits correctly and stays in place. Use eye gear in good condition. Clean eye gear regularly so you can see properly. Brush or vacuum off debris from your hard hat. Identify any hazards before starting work. Avoid rubbing your eyes with dirty hands. Flush your eye with water if you get something in it. If you receive a blow to the eye, use a cold compress and seek medical attention immediately. Don’t try to remove a foreign object from your eye on your own. Not all eye injuries occur on the job. People who play sports often suffer injuries as well. Baseball tops the list for kids under the age of 12 as the sport responsible for the most eye injuries. In most instances, corneal abrasions occur due to an opponent’s fingers or elbows striking the eye during aggressive play. Special glasses can be worn in sports to prevent such injury. Household chores, especially yard work, is another common place to receive an eye injury. When cutting grass or weed eating, you should always wear protective gear to prevent flying debris from entering your eyes.